Menopause is when a woman’s monthly menses (“meno”) pause (“pausis”) for a consecutive year. vaginal dryness, mood swings, irritability, insomnia, depression, memory lapses and weight gain. Most cases can be diagnosed on the basis of symptoms and menstrual history. To confirm menopause, a FSH (follicle stimulating hormone) level can be checked. If the level is greater than 30, then menopause is confirmed. However, during the perimenopausal period (the time leading up to menopause) a woman’s hormones can fluctuate immensely and therefore laboratory testing of hormones is not reliable. The goals of treating menopause are to provide relief of symptoms and to prevent disease (i.e. osteoporosis and cardiovascular disease). An integrative approach to menopause focusing on diet, exercise, stress reduction and hormonal balance is essential. There is no need to fear the “change” as this holistic approach will help you feel better and prevent chronic disease. Nutrition plays a fundamental role in menopause treatment and prevention of chronic disease. Adopting a whole foods (unprocessed) diet consisting of vegetables, whole grains, beans, seeds, nuts, fruits, lean protein and healthy fats will decrease your risk for cardiovascular disease, diabetes and osteoporosis. Fermented soy (i.e. miso, tempeh) can be effective in relieving hot flashes; and new studies have found that a moderate consumption of soy (less than 11g/day) has a protective effect against breast cancer. Also, two tablespoons of flaxseed twice daily can reduce the number of hot flashes by half within six weeks. So try flaxseed on cereal, yogurt or in a smoothie. There are numerous health benefits of regular exercise during menopause, namely a reduction in cardiovascular disease and breast cancer. Other benefits include increased bone density, improved heart function, reduced blood pressure, decreased cholesterol, increased energy and an improved sense of well-being. It is recommended that menopausal women exercise at least thirty minutes four times per week to achieve these health benefits. However, the requirement for weight loss during menopause is sixty minutes daily. 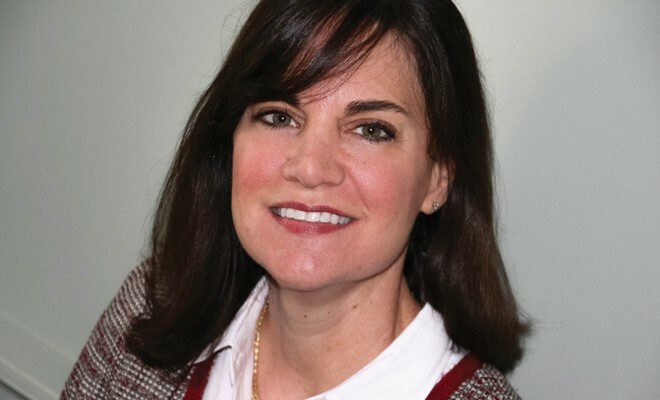 Perimenopause and menopause can be a very stressful time in a woman’s life. Continued stress weakens the immune system and increases the risk of disease, including: autoimmune disease, cancer, diabetes and high blood pressure. Therefore, it is important to practice stress reduction techniques such as meditation, yoga, or breathing exercises. In addition to eating a whole foods diet, exercising and engaging in stress reduction techniques, vitamin and botanical supplements can be very helpful in menopause. Most women should take a good multivitamin (one that provides 70%-100% of the recommended daily allowances of vitamins and minerals) and fish oil. Fish oils (with EPA and DHA components) do not only aid in cholesterol reduction and mood elevation but also have been shown to decrease hot flashes and night sweats. Black cohosh is also very effective in treating hot flashes. In addition, there are numerous supplements for other individual symptoms of menopause, such as: Valerian or Hops for insomnia, Chaste tree berry for erratic menstrual bleeding, St. John’s Wort for depression, and Kava for anxiety. However, an integrative physician should be consulted regarding the proper dosing, safety, and potential herb-drug interactions. When diet, exercise, stress reduction and botanical treatments are not effective, hormone replacement therapy (HRT) should be considered. Understanding the benefits and risks of HRT is critical to determine if it is right for you. (i.e. creams, capsules, pellets). Again, this should be under the direction of a physician experienced in bioidentical hormone replacement therapy. So, don’t fear the change of menopause. There are several effective and safe treatment options for you. 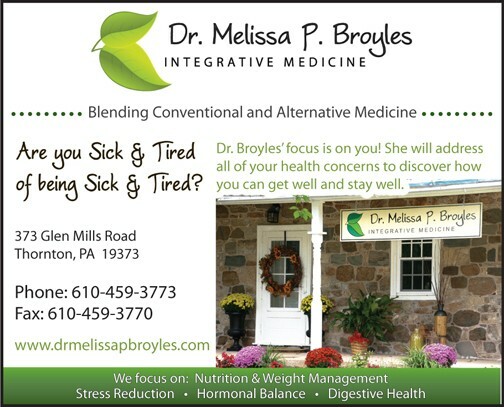 Please call 610-459-3773, or visit www.drmelissapbroyles.com.